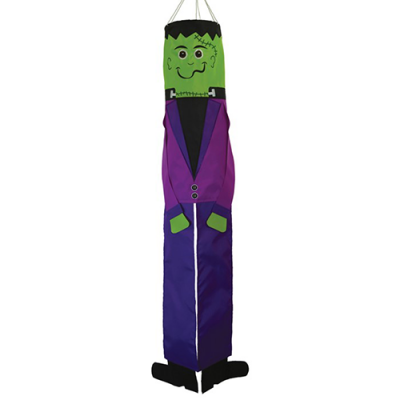 Weather and fade resistant polyester fabric Polycarbonate plastic hoop maintains windsock shape Appliqué construction with embroidered details Free-flowing arms and legs String bridle with an attached snap swivel for easy hanging No assembly required - just hang and enjoy! 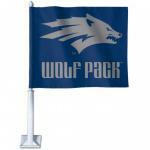 Windsock is 6" X 40" and made with quality fade resistant polyester fabric. 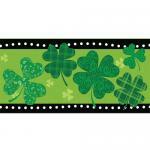 The image has been sewn with a combination of beautiful applique, embroidery and printing. Comes with snap swivel for easy hanging. 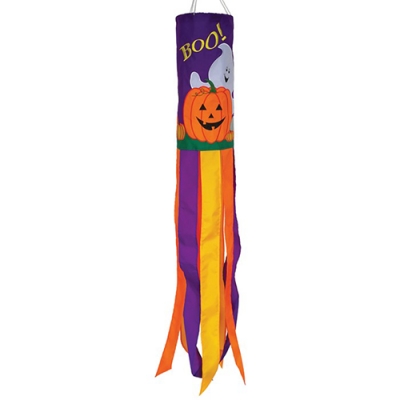 Windsock is 6" X 40" and made with quality fade resistant polyester fabric. 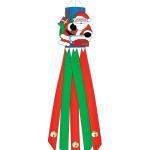 The image has been sewn with a combination of beautiful applique, embroidery and printing. Comes with snap swivel for easy hanging. 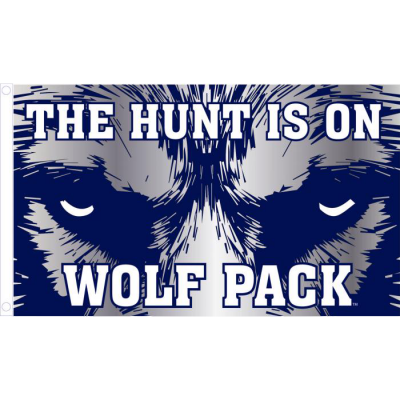 Officially licensed military graphics. 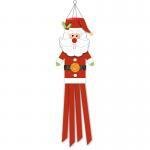 Garden Wind Friends just hang around and are made with weather resistant polyester fabric for lasting beauty. 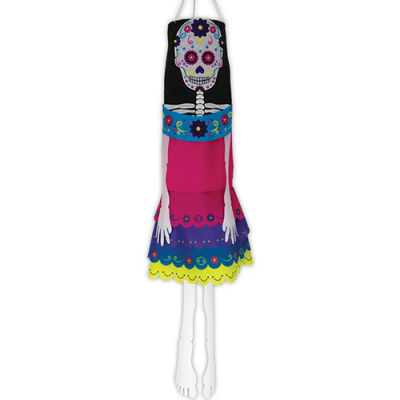 The detailed features have been applique, embroidered or printed. A beautiful 3D effect, gives a distinct front, back and side of your whimsical Wind Friend. Simply hang with the attached snap swivel. 25" X 14"
Spin Friends are made with a 3D look. 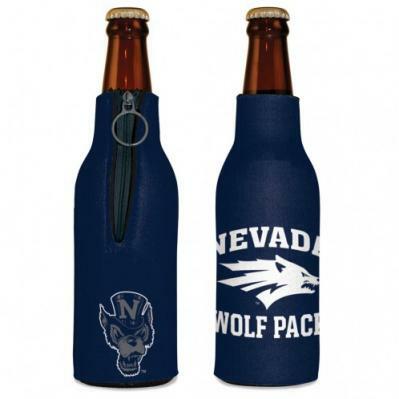 Made with Weather Resistant Fabric. Will Provide you with Lasting Beauty. 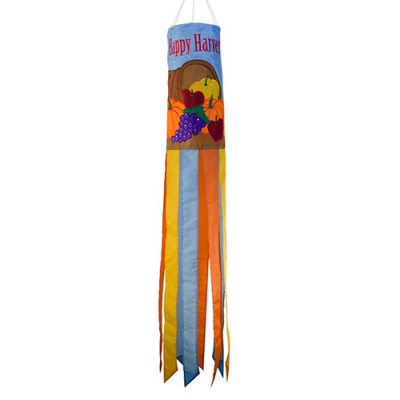 Simply Hang Your Colorful Friend with the Snap Swivel Provided and Watch as the Wind Gently Spins. 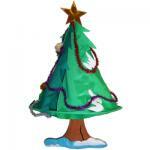 18" X 24"
Our 3D Wind Forms are a wonderful addition for anyone from any angle. With multiple themes there is something for everyone. Made out of Weather Resistant Fabric, a combination of applique, embroidery or printed graphics make these a unique, fun statement! Plus we add in color coordinated tails to match. 12" X 40" Comes with snap swivel for easy installation. 3D Wind Forms are a wonderful addition for anyone from any angle. Made out of Weather Resistant Fabric, a combination of applique, embroidery or printed graphics make these a unique, fun statement! Plus we add in color coordinated tails to match. Simply hang with the attached snap swivel. 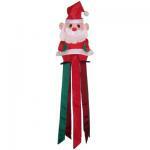 15" X 30"
This Windsock is 14” X 60” X 14" and made of outdoor quality nylon by Evergreen. Comes with snap swivel for easy installation. 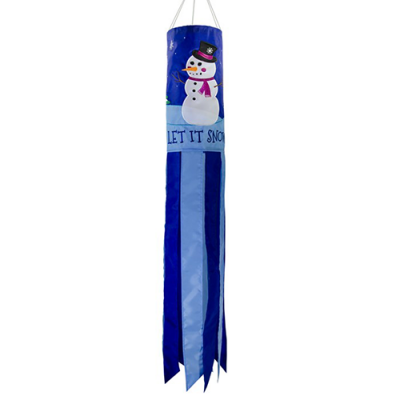 Made by Premier, this conventional smaller size 4.5" X 28" Windsock is made of outdoor printed polyester and comes with snap swivel for easy installation. 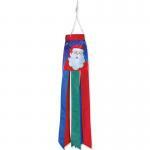 Garden Wind Friends just hang around and are made with weather resistant polyester fabric for lasting beauty. The detailed features have been applique, embroidered or printed. A beautiful 3D effect, gives a distinct front, back and side of your whimsical Wind Friend. Simply hang with the attached snap swivel. 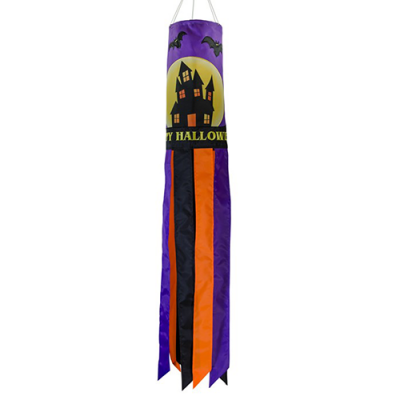 Made by Premier, this 6" X 40" Windsock is made of outdoor printed polyester and comes with snap swivel for easy installation. 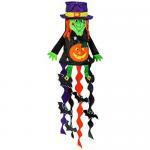 Garden Wind Friends just hang around and are made with weather resistant polyester fabric for lasting beauty. The detailed features have been applique, embroidered or printed. 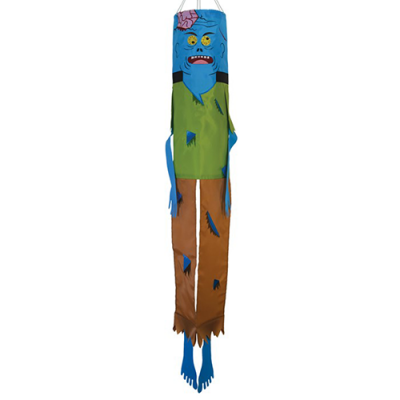 A beautiful 3D effect, gives a distinct front, back and side of your whimsical Wind Friend. Simply hang with the attached snap swivel. 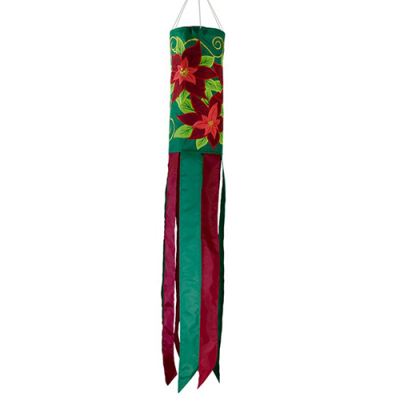 17" X 36"
Garden Wind Friends just hang around and are made with weather resistant polyester fabric for lasting beauty. 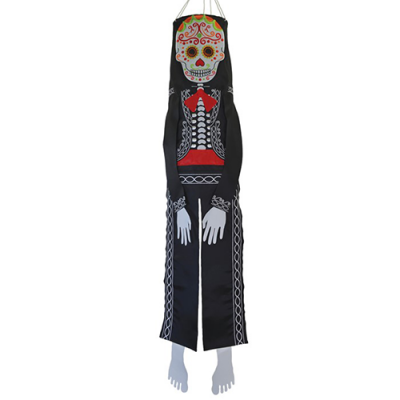 The detailed features have been applique, embroidered or printed. A beautiful 3D effect, gives a distinct front, back and side of your whimsical Wind Friend. Simply hang with the attached snap swivel. 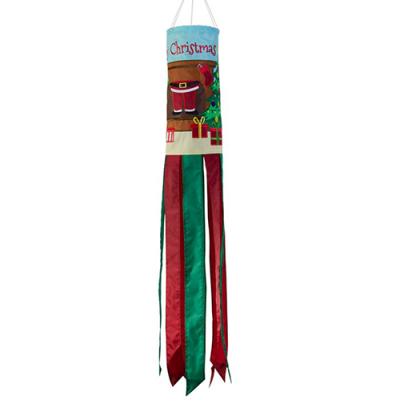 30" X 14"
By Evergreen this windsock is made of tough outdoor material. Measures 12.5" x 46" and has a heavy duty snap swivel attached to the cords at the top of the windsock for easy installation.